RED VEIN Haunted House is Richmond’s scariest indoor/outdoor haunted attraction. Created by RED VEIN ARMY in 2016 and located at Hanover Vegetable Farm, which is just 10 miles from Short Pump and 20 miles from downtown Richmond. We’ve been featured in RVA Magazine, Richmond Magazine, and Style Weekly. Where Richmond goes for horror! Experience a history long forgotten and recently unearthed in the cornfield surrounding the old witch house. Witness firsthand the ancient evil inhabiting the grounds and savage creatures protecting their coven. RED VEIN Haunted House combines an immersive storyline, realistic sets, and extreme scares. The haunted attraction includes both indoor and outdoor elements, and is not recommended for children under the age of 13 (parental discretion advised). 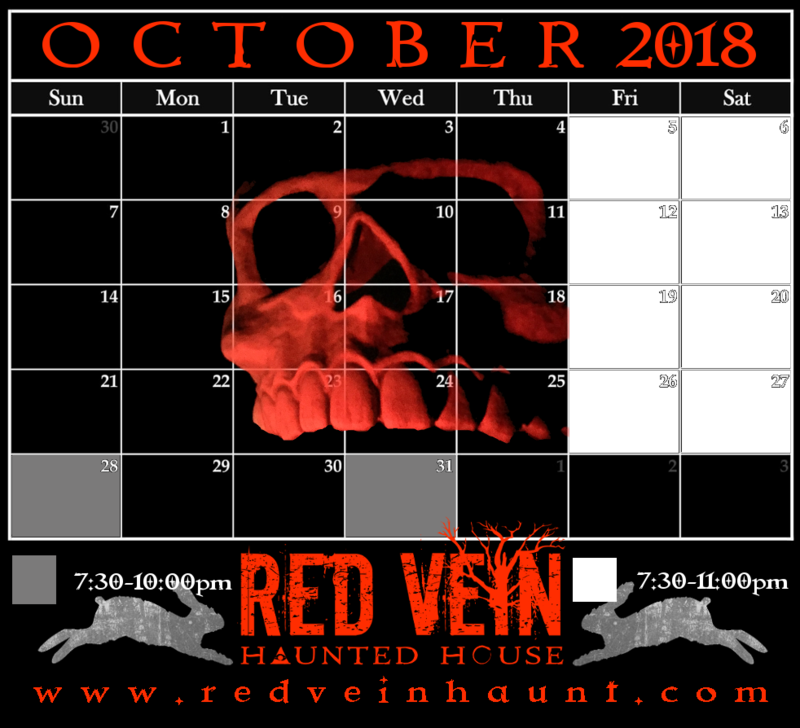 For tickets and more information, please visit www.redveinhaunt.com!